Posted on August 4, 2016 by Norwich Radical	in Inter|national, Perspectives and tagged andy burnham, angela eagle, blairite, british politics, conservatives, corbyn, corbynite, cuba solidarity, Danny Blanchflower, david miliband, Ed Miliband, electability, equality, EU, government, Iran, Iraq War, jeremy corbyn, labour leadership, labour party, labour's future, left wing, liz kendall, MPs, national anthem, Neale Coleman, NHS, owen smith, prime minister, reshuffle, Richard Murphy, shadow cabinet, social justice, socialism, stop the war, theresa may, tony blair, Tories, War Powers Act, welfare cuts, working class. Six years ago, as a baby-faced 16-year old, I remember sitting in two different meetings within a few months of one another. In one of them, a youth magazine I was working on was told that its funding was being cancelled because of the incoming government’s spending cuts. In the other, I sat in my first local Green Party meeting as activists, fresh from losing overwhelmingly in their target ward, talked about traffic lights and solar panels. The contrast between the two meetings — one a reminder of the impact of politics on everyday life, the other a completely oblivious talking shop — strikes me to this day. Though the party initially struck me as directionless, I stayed until 2014 regardless: I believed in the Green Party’s vision, and I hopped around my city (and the country) looking for ways I could help. I explained away inefficiency, poor practice and a frustrating lack of strategy because I believed in the cause. But at the end of it all, the Green Party ended up gaining no seats in 2015. I relate this story because, as a 22-year old who’s now in the Labour Party, I see numerous people doing exactly the same thing that I did in my teenage years; except rather than doing it with a party, they are doing it with a single man — Jeremy Corbyn. I should say from the start that I strongly believe that Jeremy Corbyn’s values are those of the vast majority of Labour members and parliamentarians: an ironclad belief in social justice and equality, a determination to use government to intervene on behalf of the poorest and most vulnerable, and a desire to work collectively to move society in a progressive direction. On some areas — such as his support for homeopathy, his desire to axe public subsidies for drug research and instead force an overburdened NHS to do it, his well-documented scepticism about the EU and his readiness to take money from the Iranian government’s propaganda TV station — I disagree with him. But there is no doubting his commitment to socialism. It’s why I supported him in 2015. Someone who aspires to be Leader of the Labour Party, and then Prime Minister of this country, needs decent values and good ideas. But in a parliamentary political system they also need the competence, the strategy and the skill to put those values into practice, and to communicate their beliefs in a way that wins round the plurality of the voting public that Labour needs to form a government (around 36-37% for a minority government and 41-42% for a bare majority). And in the 10 months that he has been Labour Leader, Corbyn has not displayed any of these qualities. He has alienated up to 80% of his own MPs, the people who he seeks to lead into government and whose support he needs to function as an opposition leader. He has alienated key advisors such as Danny Blanchflower, Neale Coleman and Richard Murphy, who all now support Owen Smith. He has made mis-step after mis-step after mis-step, whether we’re thinking of his failure to sing the national anthem, his announcement of a reshuffle on the day of a co-ordinated Labour action day on rail fares, his decision to attend a Cuba Solidarity event on the day of Theresa May’s coronation (a nation where ‘publicly manifested’ homosexuality remains illegal), or his appearance at a Stop the War dinner even after the organisation was heavily criticised for making offensive statements. He has also shown a complete disregard for the processes of Labour politics, announcing the day after the EU referendum that Article 50 should be immediately triggered without talking to his Shadow Cabinet and making it hard for his Shadow Ministers to do their jobs. 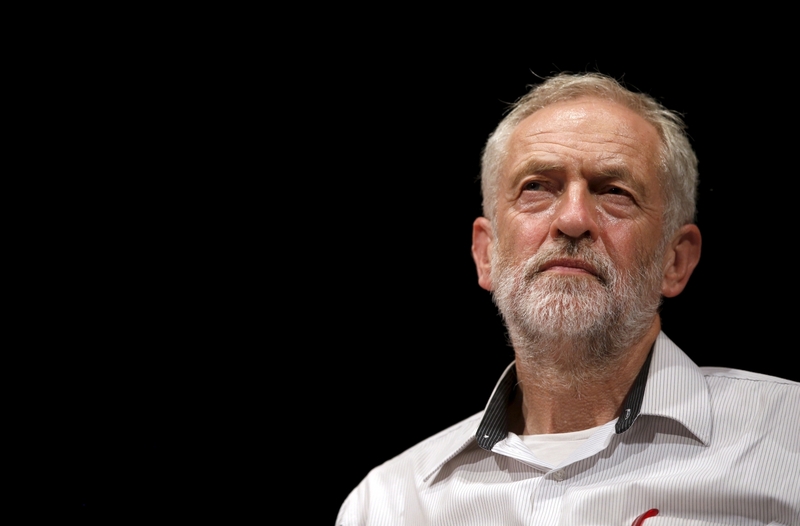 His inability to communicate his and Labour’s ideas, as well his inability to manage, lead and unite the Labour Party has led the public to regard him with greater disdain than any opposition leader in recent history. It is inconceivable that someone could become Prime Minister with a -41% approval rating, especially when a plurality of those who backed his party in 2015 think Theresa May would make a better P.M. than he would. In general election match-ups, a Corbyn-led Labour — long before the Shadow Cabinet resignations — was trailing the Tories by up to 15 percentage points, the largest Conservative lead since 2009. Such a result would see Labour reduced to just 195 MPs. 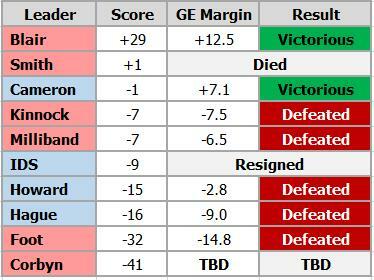 Even at the Tories’ worst period, Labour led in just three opinion polls, and even then by only 1 to 3 percentage points, not enough to make Labour the largest party. Meanwhile, under a new Prime Minister basking in her honeymoon period, Labour has slipped to 27% of the vote — its worst share of the vote since 1931. 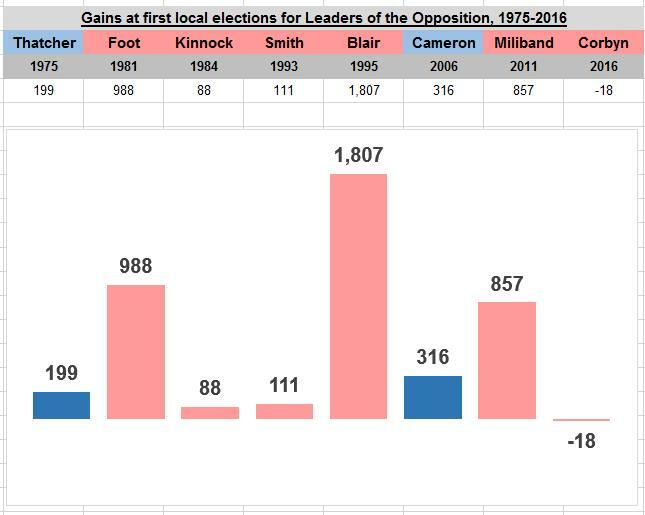 And despite attempts by John McDonnell to spin the May 2016 results, Corbyn became the first opposition leader in at least 41 years to lose seats at their first set of local elections. Meanwhile, under a new Prime Minister basking in her honeymoon period, Labour has slipped to 27% of the vote — its worst share of the vote since 1931. All these are procedural concerns, however. The slickest and most charismatic Leader would still be an awful Leader if they were more right-wing than Tony Blair. If I was being presented with a choice in this leadership election — the timing of which I strongly criticise — of voting for Corbyn or voting for a genuinely right-wing Labour figure like Liz Kendall or Wes Streeting, there’s no question that I would vote for Corbyn and seek to make him better. It’s not just that I don’t agree with the politics of Kendall, Streeting and others; they are also incapable, because of their devotion to Blairism, of understanding what Labour needs to do to move forwards. But, despite what some keen Corbyn supporters have tried to claim by spreading myths and half-truths, this is not the choice being presented to us. Instead, the other candidate on offer is Owen Smith. Owen Smith — a relative newcomer to the Parliamentary Labour Party, having been elected in 2010 — has been a strong supporter of progressive politics since joining Parliament and was left-wing enough for Corbyn to make him his Shadow Work and Pensions Secretary in 2015. He led Labour’s opposition to the government’s welfare cuts, pledges a £200bn investment in the economy, supports a War Powers Act that would limit the government’s ability to engage in another Iraq War and wants a publicly-owned railway network. He voted against intervention in Syria, voted for higher benefits for disabled people, voted against involving private services in the NHS, voted against Academies and free schools and opposed the Iraq War. His 20-point plan for Britain is, in my view, the most left-wing program of anyone to ever make a serious bid for the British Premiership. He is not Liz Kendall or even Andy Burnham — he is, as he says, part of a new generation of Labour MPs. His 20-point plan for Britain is, in my view, the most left-wing program of anyone to ever make a serious bid for the British Premiership. Not every anti-Corbyn candidate could or would make such a pitch to members. Angela Eagle’s policy-free leadership launch gave us a glimpse into how the Labour moderates and centrists in Parliament would prefer this campaign to go; an uncharismatic, policy-empty pitch based on competency and ‘electability’. Electability is a real thing, albeit a shifting beast, but the way it was described by Eagle, Burnham and Cooper implied that electability depended upon lying to the public about what Labour really wanted to do. 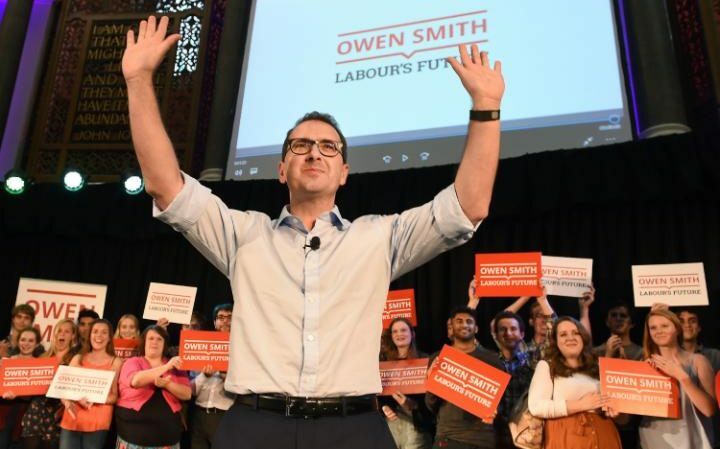 Smith’s pitch instead depends upon tying together Corbyn’s disparate slogans and quietly-announced policies into a coherent vision for Britain, married with media savvy and the support of the Parliamentary Party. His message can be summed in his slogan: ‘Labour’s Future’. Labour has only ever won as the optimistic party of the future — it cannot win as a party pledging to return us to the 1970s, or as a party refighting the battles of the 1980s. But to be fair to his critics, like Jeremy Corbyn, Owen Smith is not perfect. He has followed the Labour Party whip dutifully, which has no doubt earned him respect from parliamentary colleagues but has made members suspicious of him on issues like welfare (although I think their suspicions are misplaced, given that he led Labour in opposing the cuts once he became Shadow Work and Pensions Secretary). He has made comments for which he has rightly been called out for, and for which he should unreservedly apologise, and he supports a nuclear deterrent. On issues of policy, I’d understand why some people might prefer Corbyn if opposition to nuclear weapons, an independent political streak and a long record of taking principled left-wing stands are very important to them. That’s a fair position to take, just as it is fair to be very uncomfortable with comments that he has made and to demand that he address people’s concerns and understand why people are uncomfortable with language that he has used. He has made comments for which he has rightly been called out for, and for which he should unreservedly apologise, and he supports a nuclear deterrent. But Smith, in many ways, is everything that Corbyn is not in terms of his ability to communicate his democratic socialist vision. His campaign has clearly shown that he grasps the necessity of hammering home a handful of key messages, something Corbyn has been woefully inadequate at doing. Smith is a powerful and passionate speaker, an able media performer and a strong performer at the Despatch Box. And rather than offering platitudes and demands for competence, as Angela Eagle did, Smith has set out a progressive platform well to the left of all the 2010 leadership candidates with the exception of Diane Abbott. This election is not a choice between a socialist candidate and Tony Blair re-incarnated. Blairism is dead and buried, despite the hopes of a dwindling number of true-believing MPs. This election is a choice between two progressive candidates, one on the far left and the other on the centre-left; one who cannot communicate his vision or the policies of the Labour Party to the millions who we need to win round, and one who can. It is a choice between a democratic socialist who has a burning desire to lead a broad-church Labour Party into government through Parliament, and a democratic socialist who seeks to transform Labour into an ideologically pure social movement that may not achieve power for 20 years — if ever. The choice before us as Labour members and supporters is a difficult one; it requires critical thinking about our place in history and about Labour’s place in British politics. But it is not a choice between a candidate who is the pure embodiment of progressive, socialist values and a candidate who wants to sell off the NHS and bomb the Middle East. That is an unfair and untrue misreading of the situation. Life is far more complicated than simple binaries like that. The truth is, whatever your opinion on this election, it is a testament to the strength of the left that — just 6 years after Ed and David Miliband debated how much to agree with the Tories — we have two leadership candidates who pledge to end austerity, take the railways under public control and invest in the economy to boost jobs and growth. 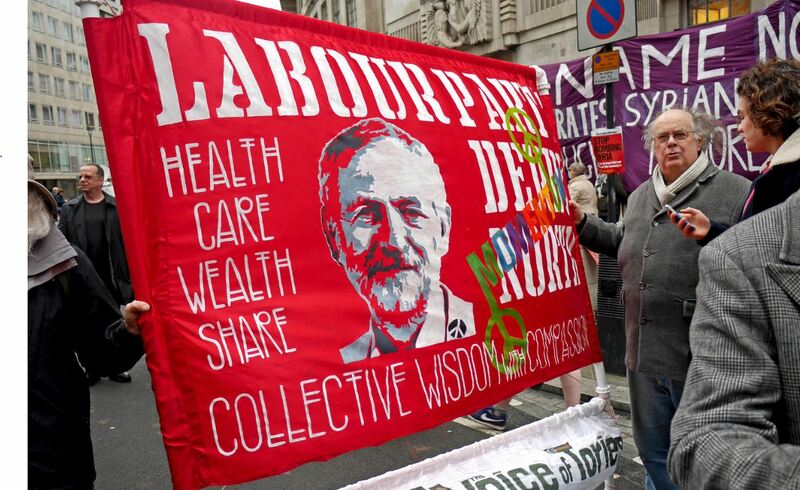 That is a consequence not of Jeremy Corbyn, but of the hundreds of thousands who have organised, marched, protested and lobbied against austerity since 2010, and the many thousands who have organised within the Labour Party in the hope that progressive politics could win the day. The choice is up to us, and I choose Owen Smith. I hope Labour as a whole does as well.